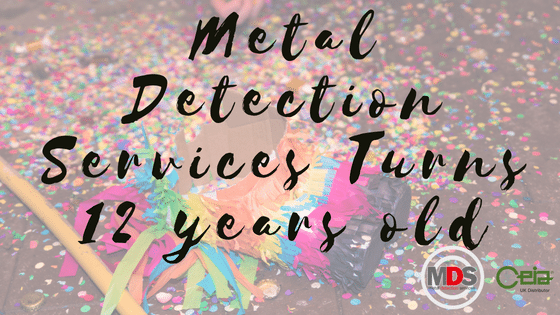 Saturday 1st September 2018 is Metal Detection Services 12th Birthday, after growing from a team of 3 to the current 12 with plans to recruit in the coming months, MDS are continuing to grow. Since beginning in 2006, MDS have joined with CEIA and have become their UK Distributor. CEIA are based in Italy and are one of the world’s leading metal detection companies, operating not just in the industrial markets, but also in the security and ground search sectors too. Building a partnership with CEIA has enabled MDS to provide customers with extensive sales, engineering, spares and service support. Working with many of the leading manufacturing companies in the UK for the food, textile and pharmaceutical industries MDS are able to provide customers with a one stop, cost effective service provider for metal detection. MDS have plans to continue growing by providing an onsite training room at their head offices in Sale, Manchester. This will provide training for smaller groups in a bespoke, purpose built room where there will be no distractions. The courses will be set up in a way that single persons can attend training instead of a group, leaving less disruption on the factory floor with multiple people being away at the same time. This training room is due to be launched in the coming months, so keep an eye on the MDS website and social media to find out more as it is announced.